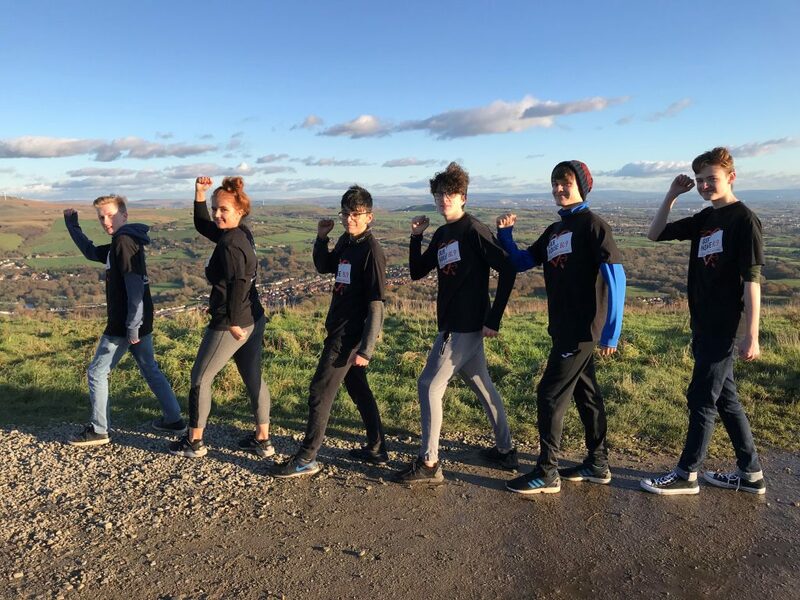 They dubbed it ‘Madness on the Mount’ as the lead participants in The Derby High School’s forthcoming production Our House ventured up Holcombe Hill, as the public were offered the chance to go up Peel Tower to see the magnificent views of the surrounding area. The cast members served the public at their ‘tuck shop’ and engaged them in conversation and enthusiastically explained the Our House production, the musical that features songs from the group Madness, named after the popular hit Our House. The play encompasses themes of love, growing up and learning from the consequences of our choices. A delighted Director of Arts Mrs Provoost said, “As the sun shone, the spectacular views ensured a memorable experience was had by all.” The cast look forward to performing the production in February at The Derby High School.